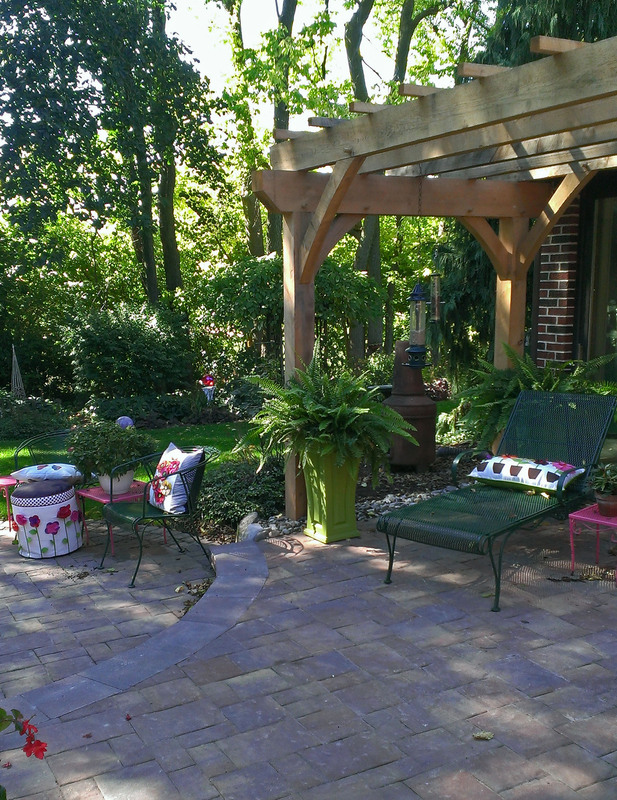 Garden Design Archives - Garden Design Inc.
Garden cottages can be personalized to each individual client. Garden Cottage is hot! These landscape elements are being called “she sheds”; however, as a landscape architect, I most commonly call them Garden Cottage. I have completed a project that had two garden cottages at a pool. One was for the men to smoke cigars and play cards (with the bar), while the other was for the woman to gather and visit (and the outdoor kitchen). I felt like a complete cliché designing it and seeing it built. But that was the client’s specification. I would prefer to stay away from the he/she dichotomy because but who is to say that a ‘he’ wouldn’t like a ‘she shed’ just as much. But, I suspect everyone needs some alone time. . All sorts of research says that our mental, physical and spiritual health requires retreating from our daily routines and making time to relax. Doing that in a space outside of the daily household grind helps free the mind from the cooking, cleaning, bills and whatever surrounds us in our homes. A far more descriptive discussion that informs the design approach to these small auxiliary ‘buildings’ which is far more fun and interesting as a designer, addresses the big question ‘what happens in the building?’. This is called the program. Other questions that can aid in the design process include: What purpose does it the building serve? Is it about an outdoor entertaining space, an outdoor room? Or is it for some specific hobby like painting, sewing, and woodcrafts? Or is it an office, a private space to write, to think, to read? All of these possibilities can be gender neutral. And the program will direct the design. What I hear is a structure with more design detail and aesthetic, a Garden Cottage, something that is guided by the concepts of a ‘cottage’, ‘bungalow’, ‘lodge’, ‘Shanty’ or even a ‘shack’ but let’s avoid the word ‘shed’. So the roof, windows and doors need to have some character, be more dynamic, more unique than the ‘shed’. It may not be constructed from the standard cookie cutter materials available. Or if it is, the materials will be used and combined in unique and uncommon ways. So maybe it is the ‘Garden Shanty’ concept with the doors and windows being recycled and reclaimed materials. Or a ‘Garden Cottage’ with additional trim woods added throughout and a multi-layer paint scheme. The key is deciding on a concept then carrying that idea throughout the project material choices. With all these elements, there are two directing principles to respect. The function and the style define the design approach. The function of the architecture and its elements are directed by the program, the styles are directed by the concept. Program and concept are the two main design principles. The concept is driven by personal taste in this situation, the taste of the owner. The concept help direct the decorating choices. Is it Shabby Sheik, Tuscan, Country Garden Cottage, Eclectic Artist, Modern Contemporary, Mid Century Modern, Rustic Country………… The program is what happens in the space, how it works, flows, is organized. The concept includes the program in a bridge to the ‘style’. While program and concept are two driving forces in design, budget will overrule in the end. It always comes down to what can be afforded. Start modest. It is always easier to add then subtract. It is also feels much better to discover you can have more than realize you cannot have everything you had hoped. 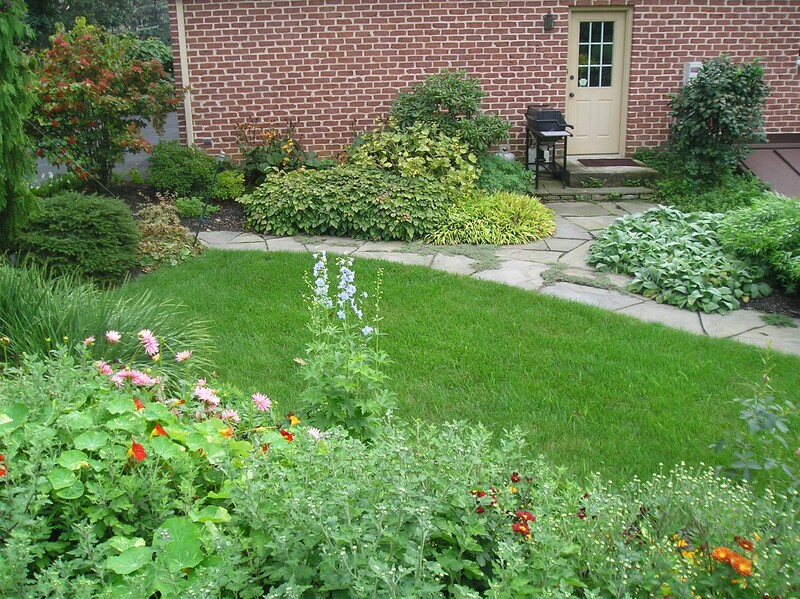 Garden Design Inc. in Allentown, PA was given the opportunity to create the memory garden design plan shown above. The landscape design program is to accommodate and nurture a spectrum of elderly residential client’s ranges from moderately independent to those with a range of dementia. This memory garden design project is in the first phase of design and future blog entries will document the design evolution through construction. The next phase is a construction budget which will help the client organization determine how much of the design can be instituted initially. 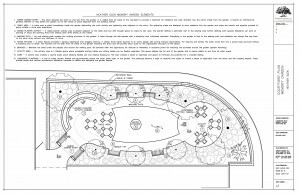 From there, we will revise the landscape design, complete planting plans and construction details for the arbor, the potting table, the planters, the water feature and the paving surfaces. 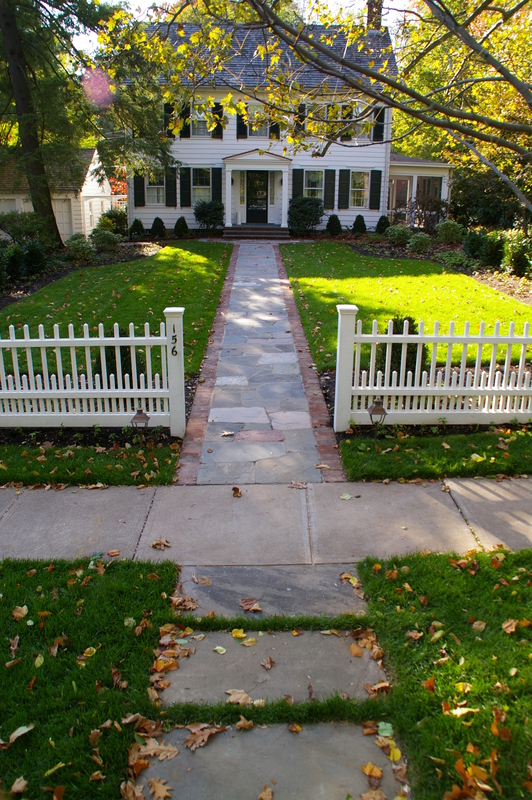 ARBOR GARDEN ENTRY – The arbor denotes the entry to and exit from the garden. It is visible from all areas of the courtyard to provide a landmark for residents and clear direction how the return inside from the garden. It inserts an architectural gateway element to help define the garden as its own sense of place separate from the building interior. TABLE AERA – A table area is sited immediately inside the garden delineating the main activity and gathering area adjacent to the entry. The gathering areas are designed to draw residents into the garden and make the mental and physical process of going outside a more easy experience. 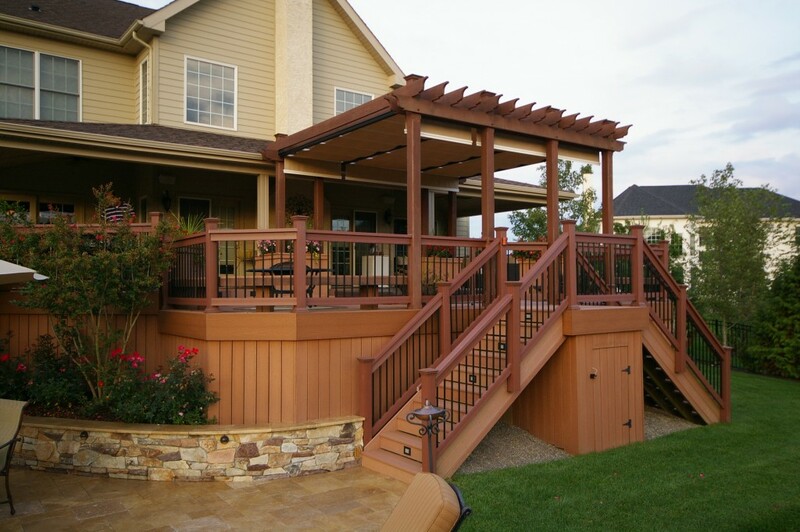 RAISED PLANTER ACTIVIY – A raised planter activity area is placed adjacent to the table area but with enough space to make its own area. The planter defines a perimeter wall to the seating area further defining both spaces. 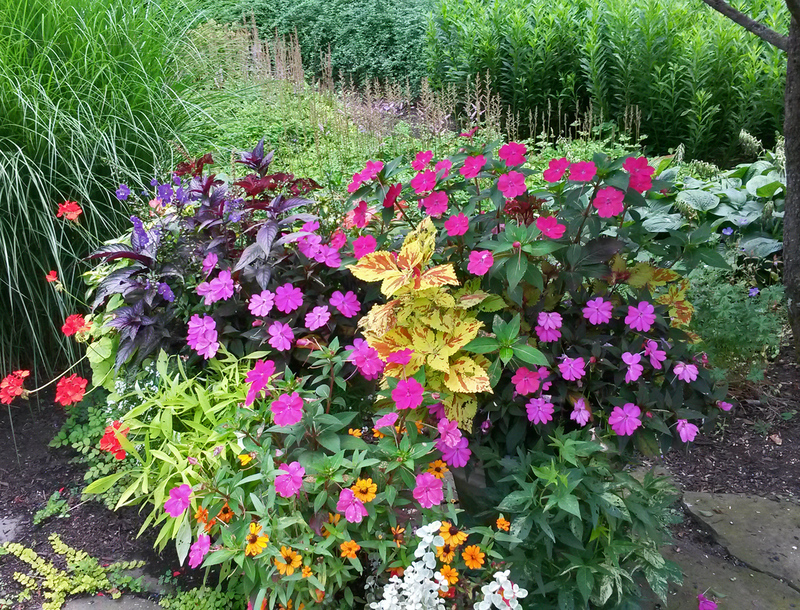 Residents can work on planting or enjoy the planting they have already done while sitting at the tables. 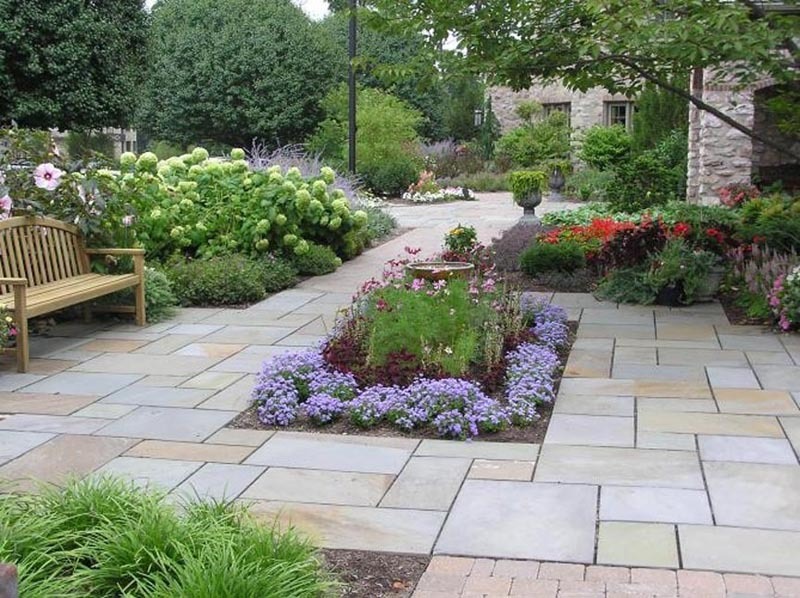 WALKING PATH – An oval walking path creates the unifying structure of the garden. It flows through the sub-spaces with a simplicity that minimizes confusion. 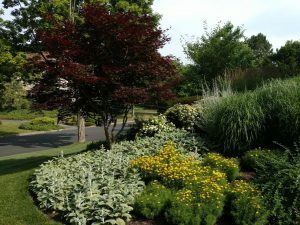 Everything in the garden is tied to the walking path and residents can always find way back to the arbor entry without any confusion of turns. WATER FEATURE – A water feature provides a sensory experience that triggers memory. A classic three tiered fountain is an iconic design with strong memory associations. 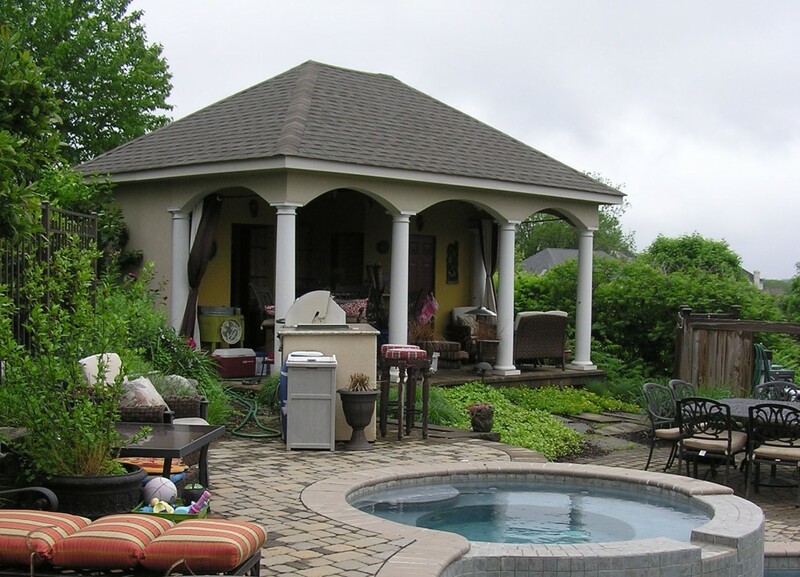 For security and safety, the water would flow into a gravel base surround without a standing pool of water. The fountain can be seen from all areas of the garden including the entry and will provide visual clues to the organization structure of the space. BENCHES – Benches are sited under the pergola and around the walking path. Six benches offer the opportunity for solitude or fellowship in locations prime for watching the activities around the garden (people watching). ACTIVITY AREA – The activity area is a flexible space where accessible potting tables and sitting tables can be flexibly organized. This space defines the far end of the garden and is clearly visible to and from all other areas. LAWN – A central lawn creates a neutral green plane allowing flexible use and viewing foreground. 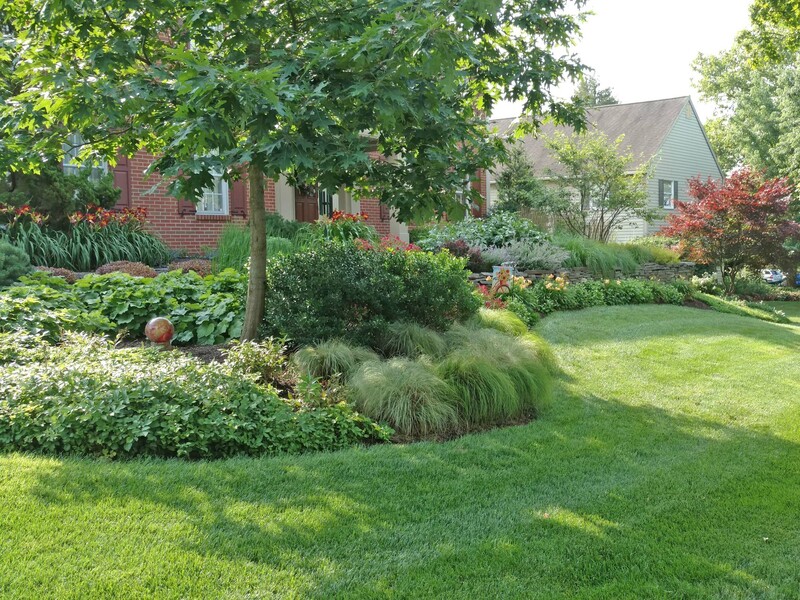 The lawn creates a sense of openness and space to minimize any potential for a crowded feeling. 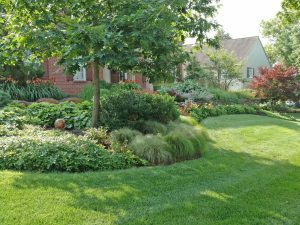 LANDSCAPE PLANTINGS – A mix of trees, shrubs, flowers and groundcovers create the outer green layer to the garden. 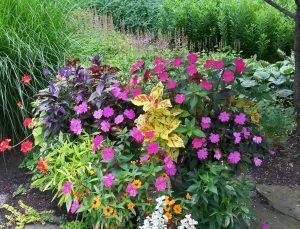 The plantings become a layer of textures and colors to create a sense of separation from the fence and the roadway beyond. 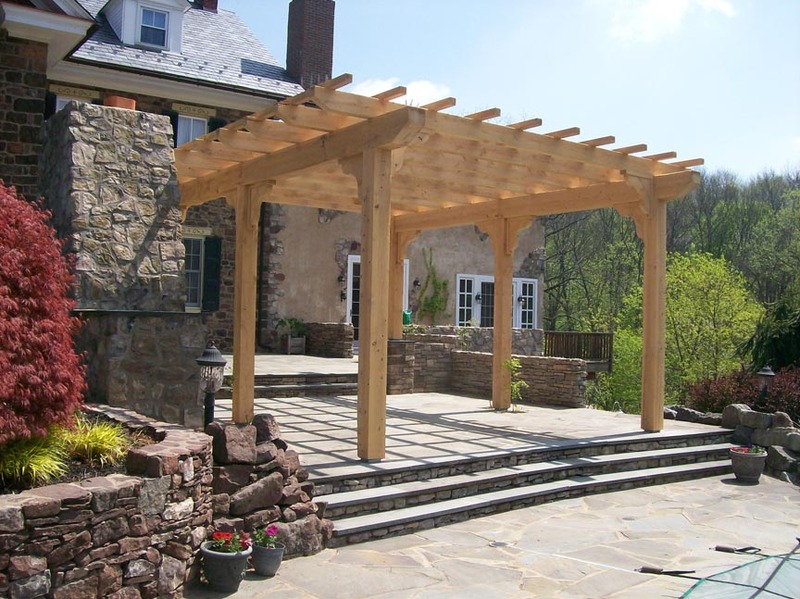 Trees provide shade and vertical architectural elements, canopies to define and delineate the garden spaces. 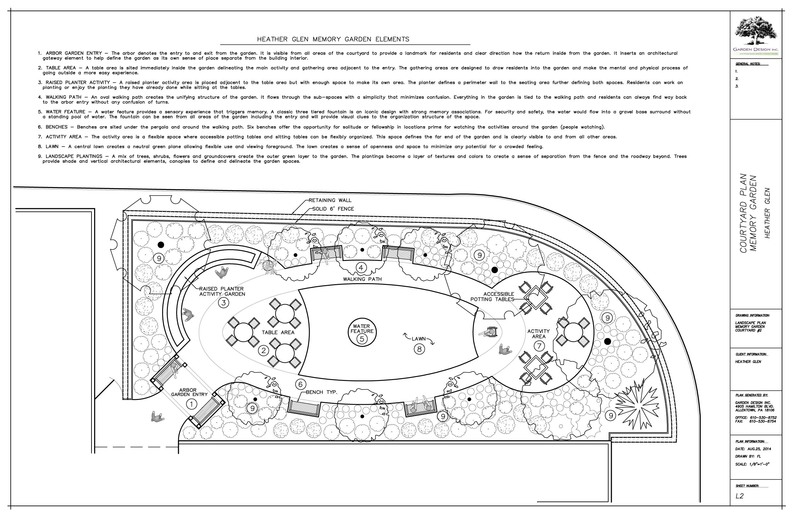 Check back with us for updates on the evolution of this memory garden landscape design project. We hope to see it through construction and be able to share images of the final built project next spring.